**Many thanks to Kelsey at Book Publicity Services and the author for the opportunity to read and review a free ARC of this book. If he was so harmless, why did you practically kill him? Because that’s what harmless guys get. Dangerous guys get something else. 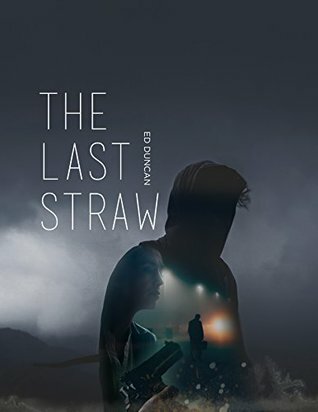 The Last Straw is a fast-paced crime mystery that begins with an accidental witness and a crime boss’s peculiar motive for wanting that witness to disappear. It’s a story that pits Rico – a criminal with a conscience – against a second-best hitman with a grudge. 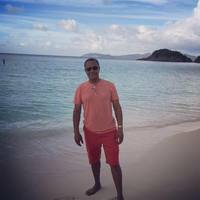 And it forces Paul Elliott – a good guy with blood on his hands – back into a world he barely escaped only a few months ago. When a teenage girl witnesses a carjacking gone bad, she is marked for death by a crime boss with no apparent motive. A black lawyer and a white enforcer with an unlikely history forge an uneasy alliance to protect the girl from a hitman with an agenda of his own. He was a ball of contradictions: as faithful as a cocker spaniel or as vicious as a pit bull. Duncan does a great job of making most of the characters either increasingly likable (Rico) or infinitely despicable (D’Angelo). The one exception was Evelyn’s character, who I wanted to like, but her excessive angst was obnoxious (even under the dire circumstances). The multiple POVs made for varied and interesting perspectives and contributed to the excellent pacing. The story is amply layered with highlights being tense shootouts, close calls, and unexpected twists, as well as an undersurface friendship that is budding (albeit grudgingly) between Paul and Rico. Apart from some awkwardly abrupt scene changes, the book was well-written and engaging. The Last Straw is book #2 of a trilogy. Book 3 is pending, but you can find info on the first book of the series, Pigeon-Blood Red, here.